5 Points Blue Kinda person eh? Red 5 Points My favourite colour too! Yellow 5 Points Ugh! Light! Green Click 80 50 Points Hands hurting eh? Red Click 50 50 Points Ouch! Red Click 100 100 Points BRUTAL! 1 Min 10 Points Secret Medal: Unlock this medal to view its details! 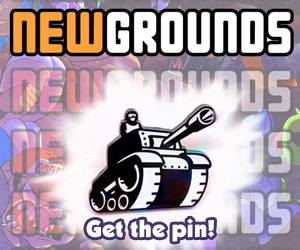 Red button 10 Points Secret Medal: Unlock this medal to view its details! 2 Mins 25 Points Secret Medal: Unlock this medal to view its details! 5 Points Click on any donate button. Speedy 5 Points Beat the game with a score of under 500. Wavey 5 Points Beat the game on the first difficulty setting. Surf Crasher 10 Points Beat the game on the second difficulty setting. Tsunami Crasher 25 Points Beat the game on the last difficulty setting. 5 Points Zombie Pharaohs? Hasn't that been done before? 5 Points Not that they put up much of a fight. 5 Points I don't know if you knew this already, but zombies love spicy food. 5 Points Penguin zombies are no joke. 5 Points Fully upgrade the quality of one item in your sales department. 5 Points Fully upgrade both the attack and defense of one of your zombies. 10 Points Fully upgrade the quality of four items in your sales department. 10 Points You are a thriving small business. Beat Game on Easy 5 Points Beat the game on easy difficulty. Conquer South America 5 Points The amazon just got even wilder. Conquer South Asia 5 Points What's the capital of Thailand? The answer may surprise you. Conquer the World in 90 Days 5 Points Make the world a zombie utopia in only 90 days! Beat Game on Normal 10 Points Beat the game on normal difficulty. Conquer Australia 10 Points Kroikey! A zombie dingo ate my zombie baby! Conquer China 10 Points People in China who get this medal also get arrested for sedition. Conquer Japan 10 Points If zombies can control giant robots, then we are all f**ked. Conquer Russia 10 Points In soviet Russia, zombies conquer you! Conquer the World in 75 Days 10 Points Make the world a zombie utopia in only 75 days! Fully Upgrade Five Zombies 10 Points Fully upgrade both the attack and defense of five of your zombies. Hire 40 Employees 10 Points You are a thriving company. Conquer Europe 25 Points Riots and strikes are the least of your worries. Conquer the United States 25 Points Politicians are now bribed with brains instead of money. Fully Upgrade All Items 25 Points Fully upgrade the quality of all items in your sales department. Hire 60 Employees 25 Points You are a thriving corporation, and a boon to the economy! Unlock all Company Upgrades 25 Points Your company is now running at peak efficiency! Beat Game w/o Losing a Battle 50 Points You are definitely an expert strategist. Conquer the World in 60 Days 50 Points Make the world a zombie utopia in only 60 days! Fully Upgrade All Zombies 50 Points Fully upgrade both the attack and defense of all of your zombies.